DARTMOUTH, Mass. 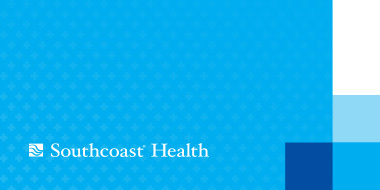 – Southcoast Health today announced that Louis Reines, MD, MBA, colorectal surgeon, has joined Southcoast Physicians Group, and will see patients at 300B Faunce Corner Road, Dartmouth. Prior to joining Southcoast, Dr. Reines was a general and colorectal surgeon in the northern Berkshires. His areas of expertise include management of inflammatory bowel disease, complex colon and rectal cancer, anorectal surgery, laparoscopic colectomy, and colonoscopy. Dr. Reines completed his doctorate and MBA in health management from Tufts University School of Medicine, followed by his residency in general surgery at the University of Connecticut. He completed a fellowship in colorectal surgery at UMDNJ-Robert Wood Johnson Medical School in New Brunswick, N.J. He was a Williams College winter study teaching associate, and previously served as a section leader for a course on the doctor-patient relationship at Tufts University School of Medicine. Dr. Reines is a member of the Society of American Gastrointestinal and Endoscopic Surgeons, the American Society of Colon and Rectal Surgeons, the Tufts University School of Medicine alumni association, and a fellow of the American College of Surgeons. Dr. Reines is board certified in general surgery and in colon and rectal surgery. He speaks Spanish, enjoys running and spending time with his family. To make an appointment, call 508-973-1020.